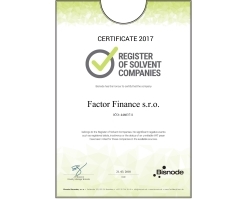 Our company obtained the Certificate 2017 of Solvent Companies according to the scoring model of Bisnode Slovensko s.r.o. company. The certification reflects long-term economic stability, solvency, reliability and efficient leadership of company within Slovak Republic. In 2016 our company got Certificate of Creditworthiness for the economical results in 2015. This certificate has been given 1,6% of 716.134 subjects acting on the Slovak market. 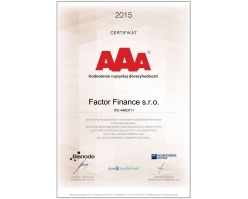 In 2016 our company got the AAA credit rate, the status of the highest class of credit worthiness in Slovakia. The company has met the highest standards of reliability and stability in the market and belongs to the group of 0,5% Slovak companies. 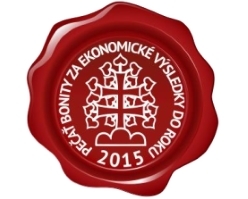 In 2014 our company got Certificate of Creditworthiness for the economical results in 2013. 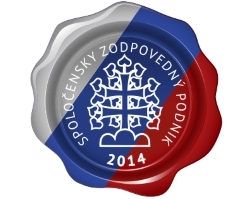 This certificate has been given 1,2% of 224.000 subjects acting on the Slovak market. 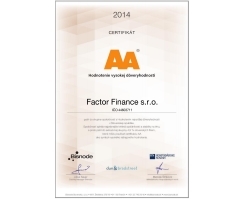 In 2014 our company got the AA credit rate, the status of the highest class of credit worthiness in Slovakia. The company has met the highest standards of reliability and stability in the market and belongs to the group of 4,9% Slovak companies. 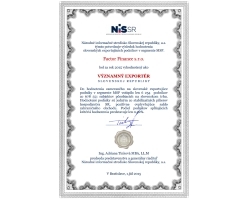 Our company got in 2015 Certificate of Solvent Companies according to the scoring model of Bisnode Slovensko s.r.o. company. The certification reflects long-term economic stability, solvency, reliability and efficient leadership of company in Slovak Republic. 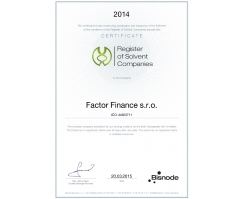 Factor Finance s.r.o. in 2015 was evaluated as the notable exporter of Slovak Republic by Národné informačné stredisko Slovenskej republiky a.s.. The share of companies meeting the strict evaluation criteria represents just 0,92% of 678.551 exporters. © 2019 Factor Finance s.r.o. All rights reserved.